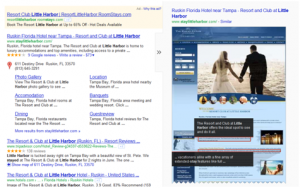 2011 has been a very exciting year in the SEO landscape with many changes, updates, and new ideas happening on search engines. As we are approaching the end of the year 2011, now is a good time for us to review some of the most successful initiatives and strategies that Milestone has implemented thus far this year. One of the focuses of the 2011 Google Panda updates was aimed at the quality of site content, with this update; many sites that acted as content farm or boasted low quality duplicate contents were penalized. On the flip, Milestone’s vigorous standard on the quality of content has ensured our websites came of this update unscratched, with some sites performing even better. We are also continually improving our products and tools such as E-Coupon, CMS, Review Modules, etc to help client websites maintain freshness of content. 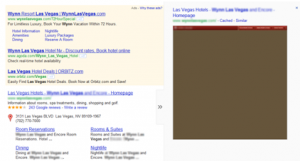 We also implemented Rich Snippets to help Search Engines identify the on-page content more easily and accurately. Design and content goes hand-in-hand. We have always preached the idea that website design should prioritize usability and crawlability along with being visually appealing. Updates that happened in 2011 were yet another testimony of this idea. As you can see in the example given below, this is how websites are being crawled and shown on the new Google Preview feature introduced earlier in the year. Image 1 shows how a well developed hotel site fouced on usability and crawlability is previewed on Google Preview. Image 2 shows an example of a site that was developed purely focusing on visual appeal. The second reason why usability-focused design is important is because download time affects search, and Google has shown just how important it is in their webmaster tool. Another area of focus we have in 2011 is the Cross Channel Optimization initiative. Interweaving online channels and marketing efforts together to increase search results saturation. This includes optimizing your channels and content, including local, image, videos, PPC, mobile, user generated content, social, and organic. The purpose is not only optimizing each bucket individually, but to also build a congruent strategy across the channels. 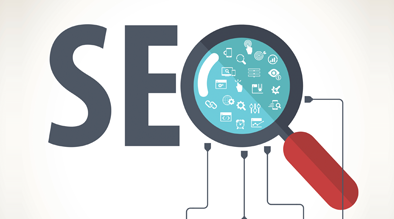 There is no doubt that the search engines will continue to evolve in 2012 as we all eagerly look forward to the new year and reflect on all the successes and major achievements in 2011 that helped us build a better understanding of what’s to come in 2012.